So, I shall spare you another picture of a red crystal. 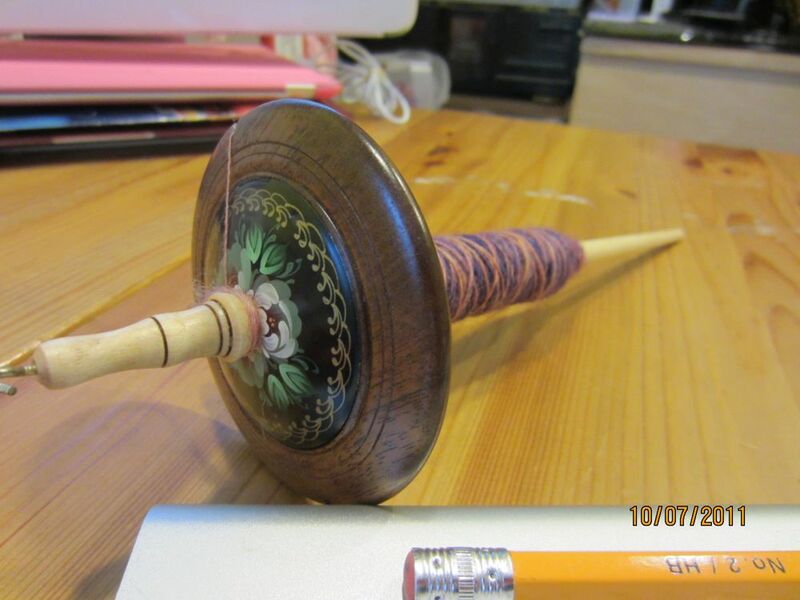 Instead, I’ll show you a picture of a spindle I picked up last month judging from the timestamp on the picture. This is a Ledbetter modular spindle. It is pretty nifty. It comes with three shafts that screw into the whorl so when you finish the cop, you just swap out for another shaft. It spins very nicely and is just beautiful.